BET’s “The Quad” will return for Season 2 on Jan. 23, 2018, the network announced on Tuesday. 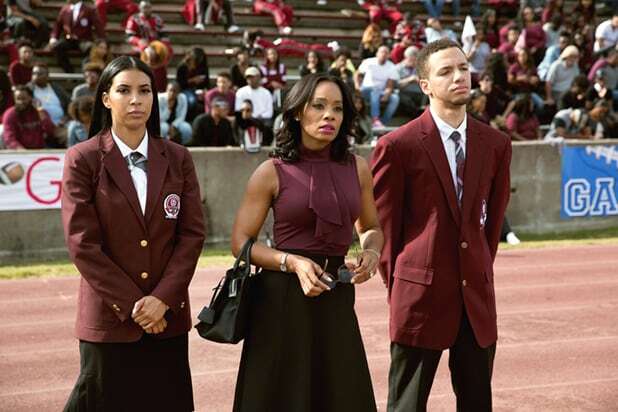 Led by Anika Noni Rose, the scripted drama from executive producer Felicia D. Henderson is a true-to-life drama about HBCU (historically black college or university) culture and relationships. The show’s second season will pick up in spring semester, with Georgia A&M’s survival as an independent, historically Black university hanging in a precarious balance as the driven Dr. Eva Fletcher (Rose) struggles to raise capital for the nearly bankrupt institution. If she fails, the school may be forced to join Georgia’s large, public and predominantly white university system in order to keep its doors open. Rapper and producer Antwan “Big Boi” Patton Sr., RonReaco Lee (“Survivor’s Remorse,” “Let’s Get Together”), Sheryl Lee Ralph (“One Mississippi,” “Ray Donovan”) and Debbi Morgan (“Power,” “All My Children”) are all slated to appear in recurring guest roles this season, alongside Jasmine Guy (“A Different World,” “School Daze”). Patton will play Lenny Jenkins, the over-zealous father of the latest high school quarterback phenomenon. Lee will reprise his role as Southwestern Delta University’s executive band director and Cecil Diamond’s (Ruben Santiago-Hudson) chief rival, Clive Taylor. Ralph will guest star as Ula Pettiway, Georgia A&M faculty member Carlton Pettiway’s wife, and Morgan will play Dr. Helen Chambers. Sure, it's a bit early in the fall broadcast TV season to declare a series dead -- unless that show is called "Ten Days in the Valley" or "Me, Myself & I" -- but the inquiring minds need to know what's in line to get the boot. There are a number of factors that go into cancelling or renewing a series: costs, ratings, ownership, contracts, stars, I.P. -- the list still goes on from there. OK, so "Ten Days" was set up as a limited series, but we all know by now that you can add "...unless it's a hit" to the end of that descriptor. This one definitely was not, and has already been banished to Saturdays. Couple things: Fox owns "The Exorcist." Both the studio and network are run by the same pair of executives. But it's time to exorcise this Friday series, not resurrect it. From its weird IMAX rollout to Medusa's awful CGI wig, this show was a disaster from the get-go. When asked by TheWrap for a phone interview tied to the show's fall finale, ABC said no one in the cast was available -- that's never a good sign. Once Upon a Time, this show was a hit. 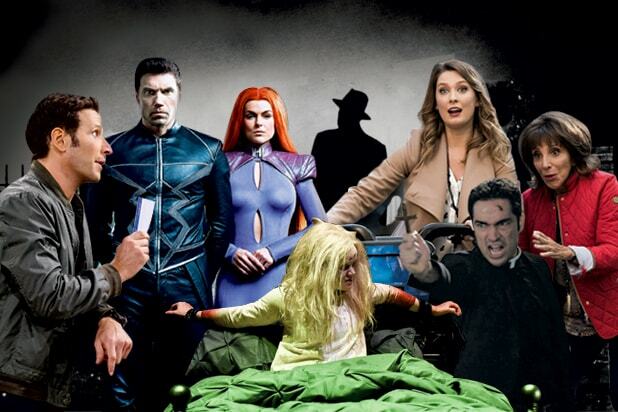 Now it barely has any of the original cast members left, and even the creators are displeased with their rebooted fairy tale's recent reception. Bobby Moynihan should have stuck with "Saturday Night Live." But he didn't, and the casting of a 6'4" John Larroquette to play the older version of a 5'8" Moynihan made absolutely no sense. CBS has already pulled this show from its schedule. Though it pains us to say, this very good sitcom is probably about to be released on parole. It's still very funny, but the Andy Samberg comedy isn't owned by Fox, which doesn't help its case. Plus, "Brooklyn's" "live" rating should be considered a felony. Not a good show, an even worse title -- don't let the "Big Bang Theory"-boosted rating fool you. Cute only goes so far. We've got good news and bad news, "Great News": On the plus side, you're owned by NBC and have garnered generally favorable reviews; on the negative end of the spectrum... your ratings. IF the sitcom returns, that can be chalked up to two words: "Tina. Fey." Consider yourself on notice (and on the bubble, at best), "Kevin (Probably) Saves the World," "Last Man on Earth" and "Wisdom of the Crowd." We'll see how the rest of the 2017-18 season shakes out.